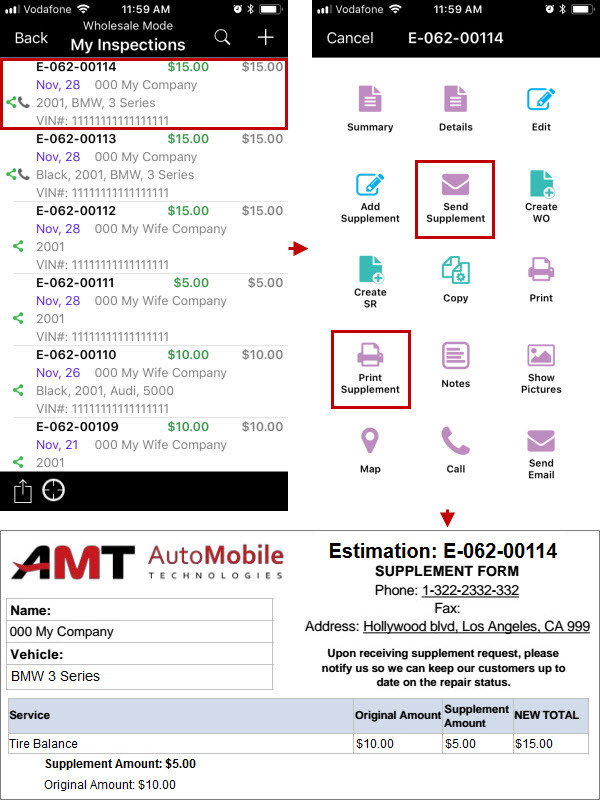 You don’t have to enter supplement amount manually while creating an inspection because now it is calculated automatically as the difference between the default price that is set in the Back Office application and the new price that technicians enter on device. 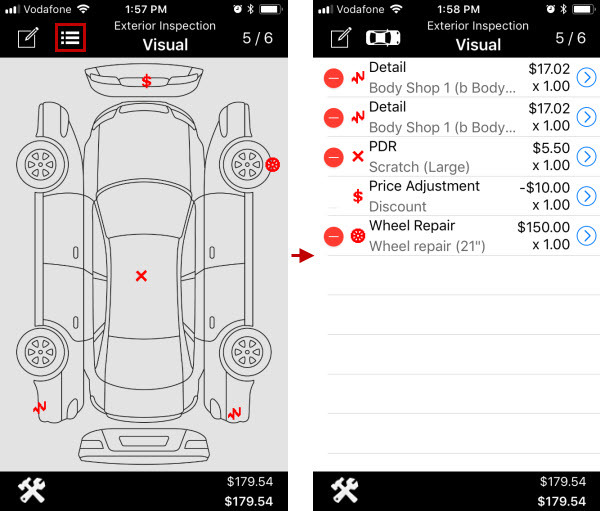 Now you can switch from the Vehicle view to the List view on the Visual screen of inspections to manage damages in an efficient manner. 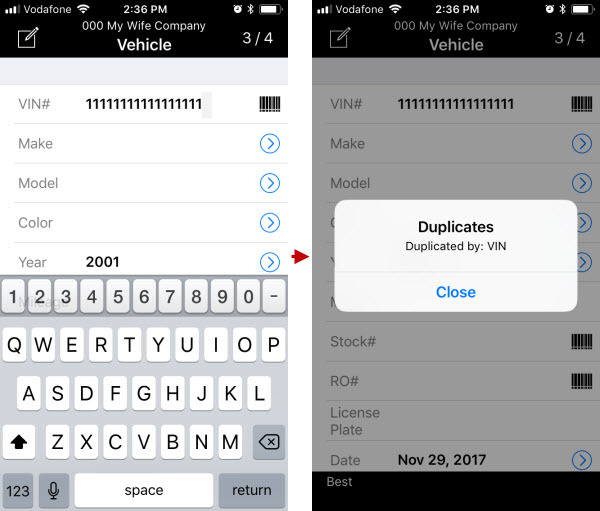 Now when you create more than one service request for the same customer and enter the same VIN, Stock#, or RO#, if duplicate checking is turned on in the Back Office application, you will either get a warning message about the duplicate, or you will not even be able to save service request until you correct the duplicate entry.